Post-secondary career services are under increased pressure to demonstrate value, justify their service, and align to the needs of the broader institution, whether a university or college. Combined with a greater demand for accountability and transparency, there has never been a more important time to measure and manage the performance of career services. However, measuring the performance of post-secondary career centres is not an easy task. How can I possibly be held “accountable” for employment outcomes when I don’t control the labour market, I don’t control employers, I don’t control post-secondary course offerings, and I certainly do not control the individual motivation and skill levels of jobseekers! But isn’t that our service promise? Shouldn’t those who come to our service have a greater chance of success then those who do not come? If I cannot demonstrate this influence, how can I demonstrate value? 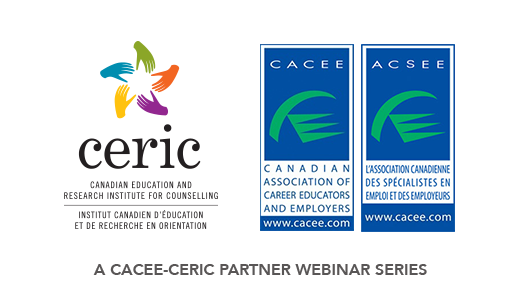 As an expert in performance measurement in the employment sector, Sarah Delicate will tackle some of the tough questions regarding performance measurement in post-secondary career centres. In this “no-fluff” three-part webinar series, Sarah will share the essentials of performance measurement using practical and tested examples from the broader sector. Sarah Delicate is a renowned consultant, trainer and keynote speaker in the employment sector in Canada. Sarah has over two decades of experience working with 100s of employment centres and 1000s of employment professionals across Canada. As a consultant to policymakers, Sarah has an intimate understanding of what data is required to tell a performance story, as well as the systems required to make it all work. She is recognized for her realistic, values-based approach to human service measurement.